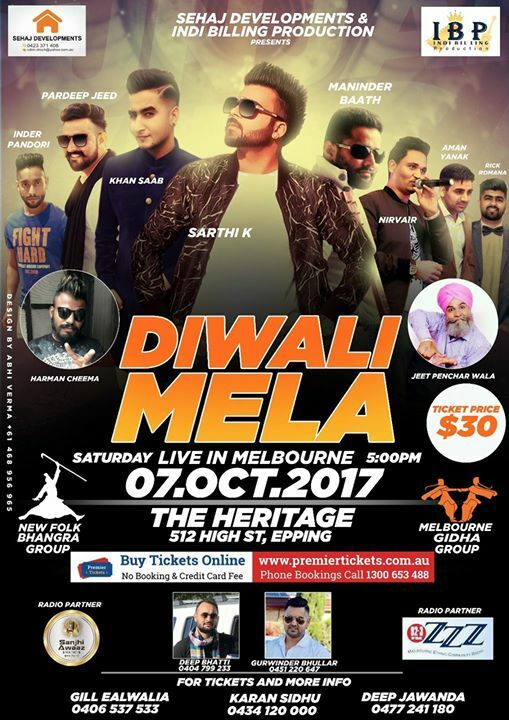 HASIYA KHEDIYA Diwali Mela 2017 LIVE in Melbourne Event organised by SEHAJ DEVELOPMENTS & INDI BILLING PRODUCTION. It is a sincere effort to bring the Indian community together to celebrate the joyous festival of Deepawali with fervor and gaiety. 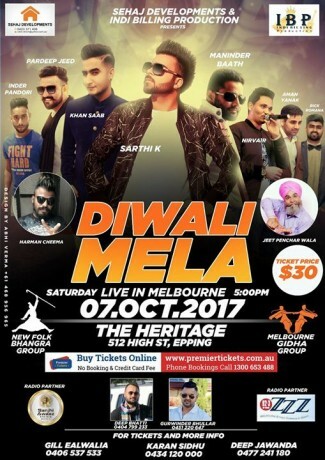 Such melas hold a great importance especially for Hindus living abroad and go a long way to enhance the feeling of harmony amongst Indians away from their homeland. Premier Tickets is Australia’s leading online event ticketing & marketing solution provider. We act as a channel between the event organizers and end customers helping our clients with hassle free event ticket booking, event marketing & promotion solutions. Contact us for any of your ticketing & marketing needs.